Well after losing my favourite plant as a gift, that also because of irregularity in watering the plant ( I do accept my mistake). I decided to make a simple indicator for water level in soil for plants. Basically, it a kind of minor project in college academics , in which i have to do it on 8085 microprocessor (which is almost ready. i will share that also, soon.). Here i have used a low cost rf transmitter and reciever pair, a BeagleBone Black, and a Arduino. For wireless data acquistion form transmitter, i have made a shield for BeagleBone Black at CEDT, NSIT. With a Atmega 328p on this which simply formulate the data for BeagleBone Black. The purpose of beaglebone here is to store that data in CSV (comma separated values) or TSV (tab separated value) for two to three days. For transmitter, i have used a simple Arduino microcontroller. And for sensor part, i have used a simple single-core wires in pull-down configuration. Here is the pictures for the same. 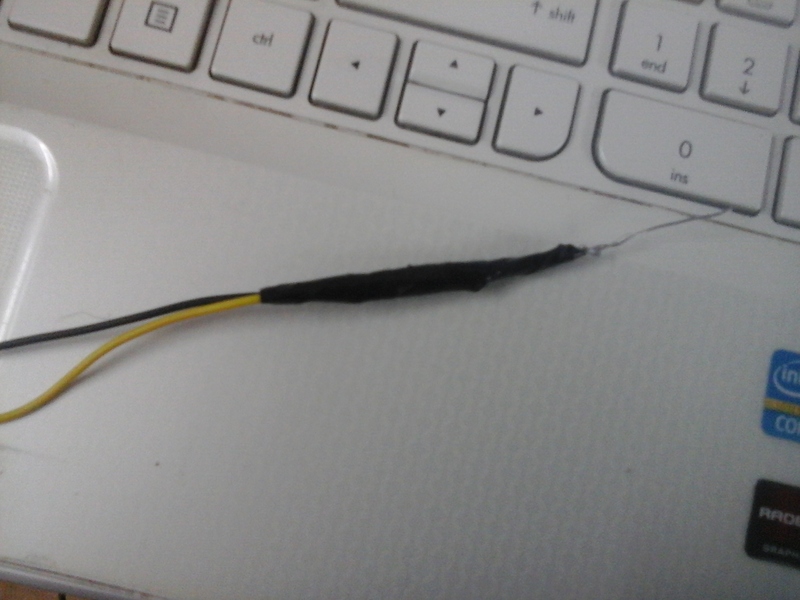 Here black probe is for ground and yellow probe is for Adc input channel. The whole setup on transmitter side looks something like shown below. 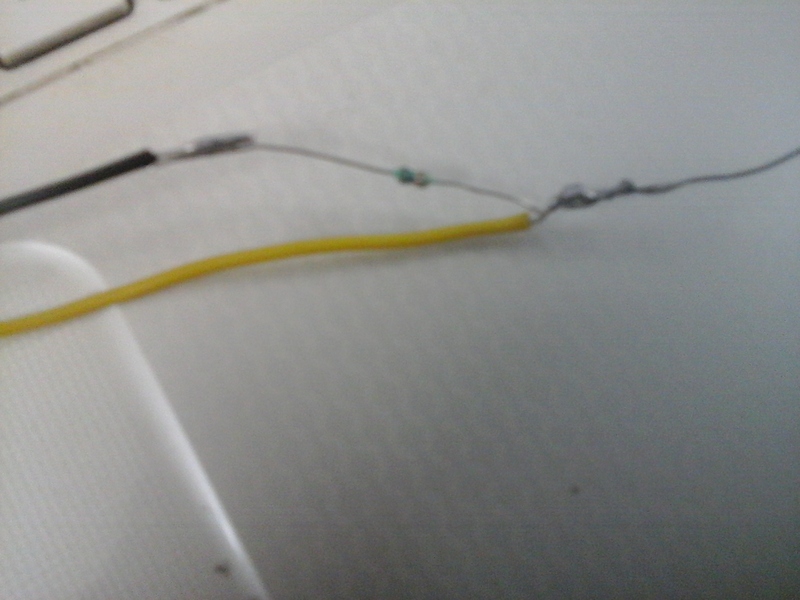 Here red wire is for VCC, Black wire is for groound and yellow wire is for adc input channel. 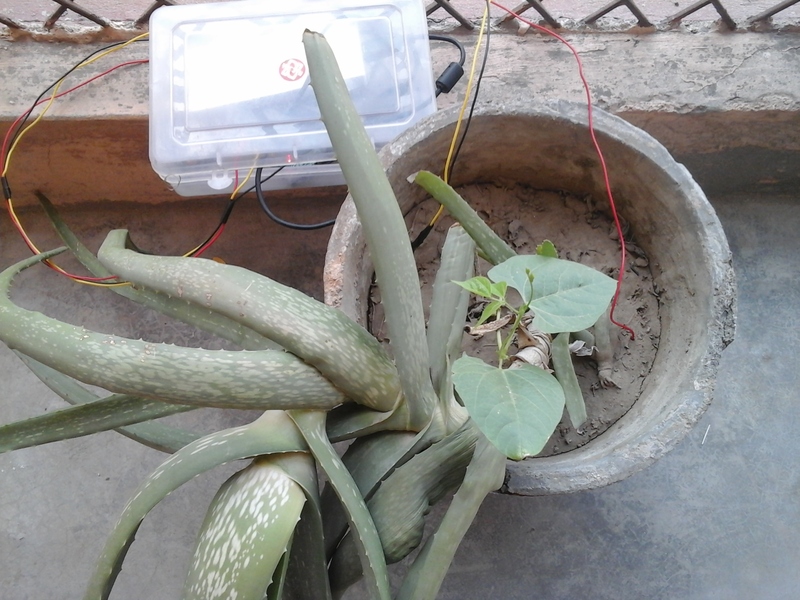 After collecting values for two days on aloe vera plant, i got result something like this . Well its time for final working project, on 8085. I will also share that soon.